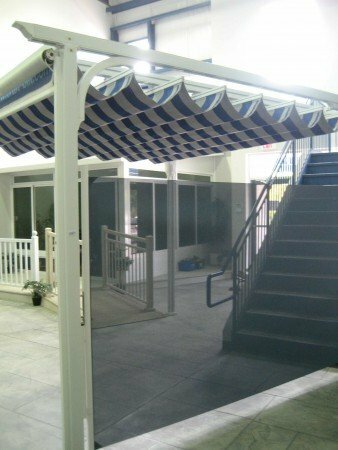 An innovation in outdoor privacy, wind protection & shading. 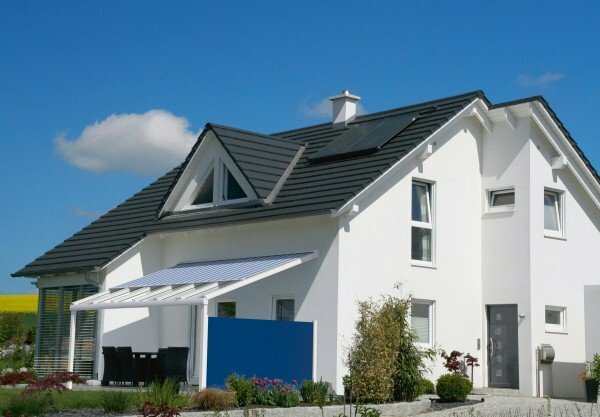 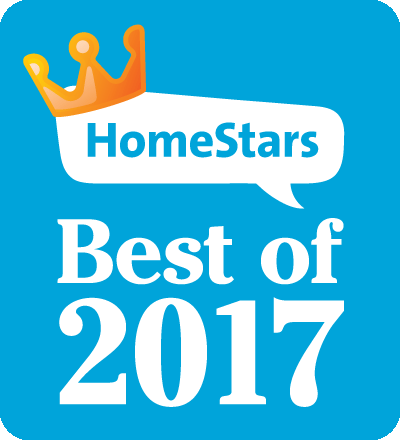 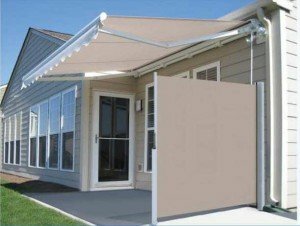 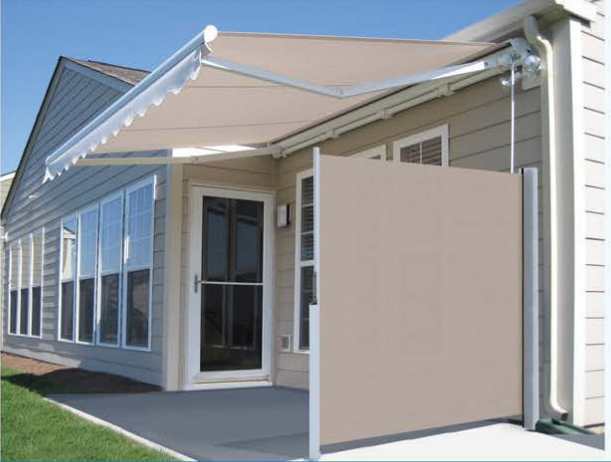 The Betterliving™ horizontal retractable shade meets a growing interest in high-tech shade products that can be used as needed for shelter and privacy. 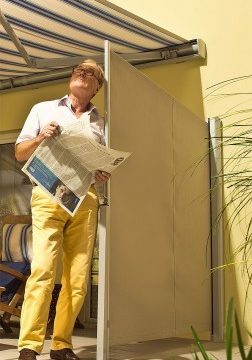 In addition to blocking sun and wind, horizontal shades provide privacy on townhouse decks and terraces. 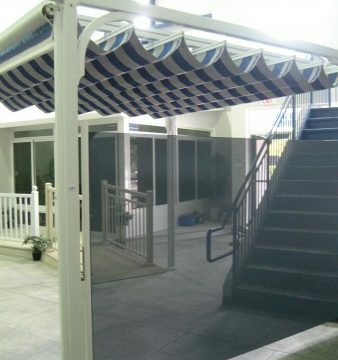 Many fabrics are available, including our 100% solution dyed acrylic awning fabrics in many decorator solids and patterns, as well as our line of solar shade fabrics with varying weave patterns to achieve the desired level of privacy or protection from the sun. 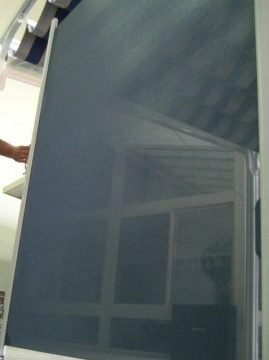 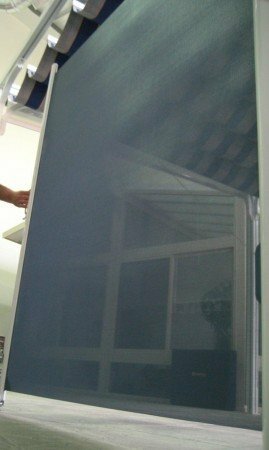 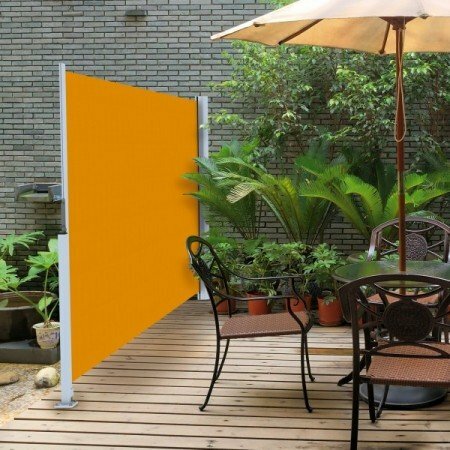 If privacy is not a concern, the shades can even be fitted with clear vinyl panels to maintain your view. 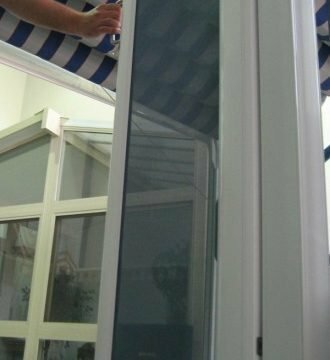 The aluminum pull rail glides easily on the bottom caster and hooks into place using maintenance-free stainless hardware. 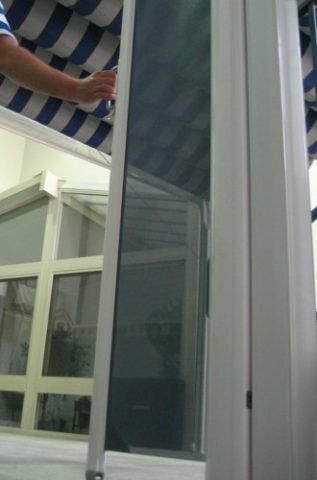 The fabric is spring loaded so it doesn’t sag and retracts cleanly into the aluminum cassette. 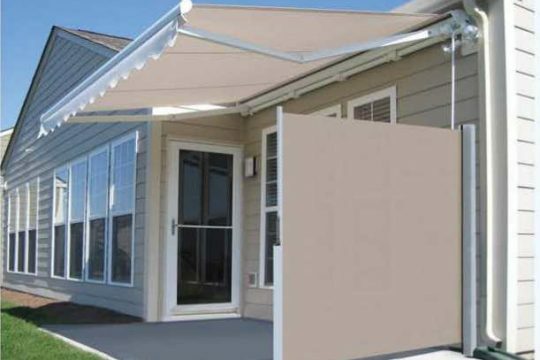 The shade is built with anti-kickback technology for safe operation. 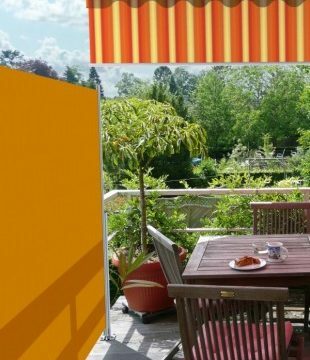 Our horizontal shades are available (A) mounted between two wall surfaces or (B) between one wall surface and our floor mounted post. 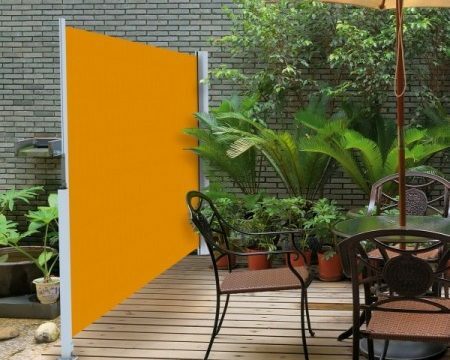 Shades are available in heights from 46 inches and to 96 inches can project up to 13 feet depending on the thickness of the fabric used. 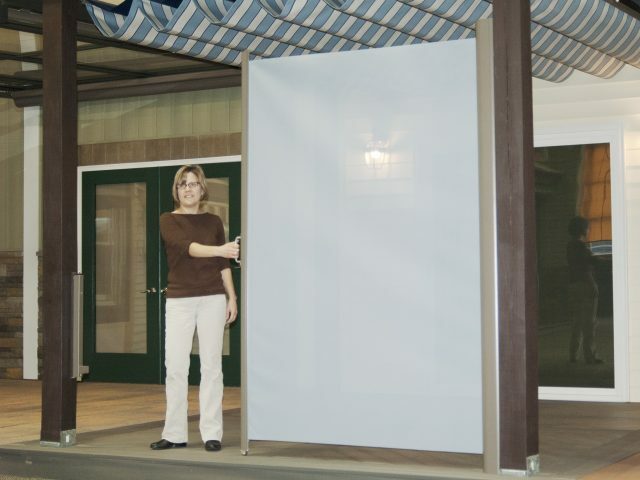 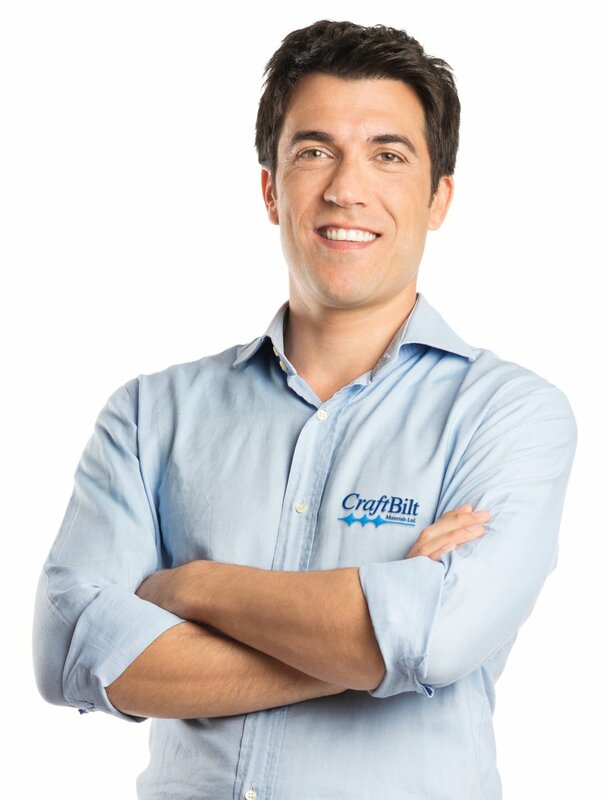 Craft-Bilt has a huge selection of Horizontal Shade Fabric colours and types. 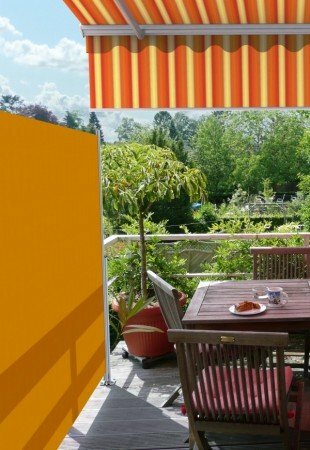 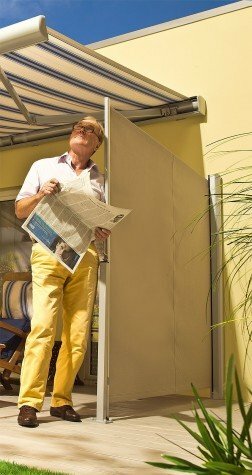 Please visit our Solar Shade and Privacy Fabrics to view available fabric colours and other options.